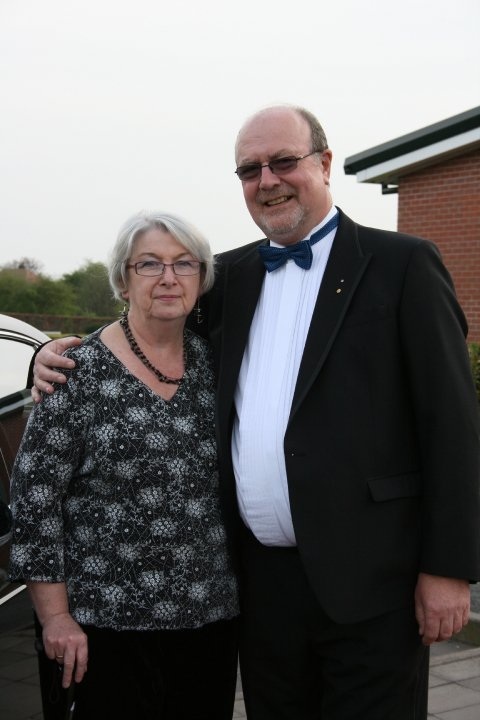 My name is Stephen Dent and am 64 years old living in Cheshire in the north west of England. I first started to realise that there was something odd going on when I was about twelve when I got dreadful pains in my hips, usually after exercise as I was a keen cyclist and cross country runner. My parents took me to the Doctors and of course it was “growing pains”. These growing pains have continued for over 50 years now so I must be about 20 feet tall by now! As I progressed through my teens I started to get sharp stabbing pains in my back in the middle of the night. At first, I thought there was a broken spring sticking out of the mattress into my back but of course that was not the case. When I was 18 someone ran into the back of my Mini car and really jerked my head back. I never went to hospital but shortly afterwards started to get severe pains in my neck as well as my lower back. I think I went to the Doctors several times but it was dismissed every time as some sort of strain injury. Generally the pain was in the night and I struggled to get off the bed in the morning. I could never figure out why the pain eased off during the day. The pain was at its peak when I was 22 which was the tender age I got married for the first time. On my wedding night I was in absolute agony so we got up at 4 am, packed up the car and drove off on our honeymoon to Scotland and by nightfall had reached Glencoe. We bed and breakfasted all round Scotland and Skye and must have stayed at about 6 different guest houses. I was surprised that the night pains seemed to vary depending on the softness of the bed – the softest being the best. A year later, I got severe pains in my eyes. I could not entertain even a speck of light so hid under the bedclothes for two days until I could get an appointment with the GP. The doctor sent me straight to the Manchester Royal Eye Hospital who saved my sight in the worst eye with steroid injections. They also did blood tests and sent me for x-rays and low and behold, an eye hospital diagnosed me with ankylosing spondylitis and referred me to a rheumatologist. Two weeks as an inpatient at Salford’s Hope Hospital with intensive exercise 3 times a day made an amazing difference to my posture, pain and general wellbeing. I have continued with exercise classes ever since. Drugs in the early days were steroids which made my weight balloon by 5 stones and then phenylbutazone, an early NSAID which is now banned in the US. 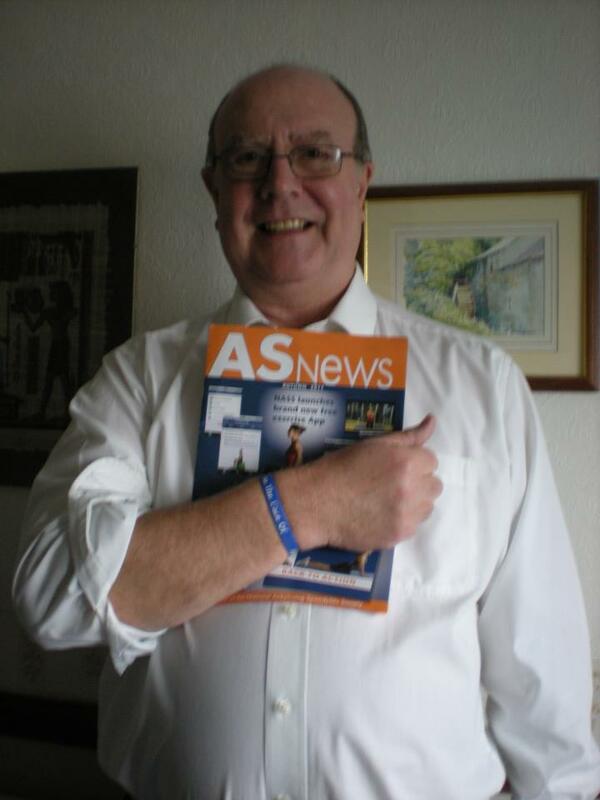 I was one of the early members of the National Ankylosing Spondylitis Society in the UK in the 1970s and still run their Crewe, Cheshire branch. How am I now? Well my biggest problem is my neck which has severe cervical spondylosis rendering me liable to paralysis if I get any neck trauma. My AS is nowhere near as bad as 40 years ago in the night but during the day, I struggle to do some everyday things like putting socks on or digging the garden. AS has not stopped my having a great 48 year career in local government. I have been a Justice of the Peace, Chaired a Big Folk Festival for many years, am Vice Chairman of the Middlewich Clean Team litter picking organisation and do many other voluntary jobs. A few years ago I was made Cheshire’s most Valuable Volunteer. My advice to young people with AS is to keep active in your mind and body and exercise, exercise, exercise. The future is what you make it. Stephen I so agree with you (the future is what you make it) and exercise. It’s great to see that you have still maintained a career while dealing with AS. I can’t imagine giving mine up as I feel I am just starting at 27. Hi I have had Iritis and all the pains you spoke of in earlier years , I did go to my Gp 9 years ago and was basically made to feel like a fake. 3 weeks ago the pain got the better of me and I went to a back clinic ho sent me for bloods. All of a sudden my Gp is interested ( even if it is late). I have to admit I was scared witless for my future and career and if honest became very low. Your story and this site has made me feel normal again. Thanks for that Michael. I am happy you feel that way, it is my goal to give each of us a place to feel that way. I look forward to adding you soon. Thank you for sharing your amazing story for us, you will be an inspiration for many! Could you elborate on the exercises you do? currently, my neck pain and lower back pain are so intense. my lungs feel like they are on fire, especially when i do any activity. my first iritis experience was like yours. i remember sitting in my flat with the curtains closed, all lights off, and if i put the fire on, sitting at the opposite end of the room from it with my eyes closed, the light it omitted still caused me pain. i was admitted to hospital for a few days and given drops every hour. like you, this led to my diagnosis. just found this site, good to read people’s stories. I was really interested to read your comment on iritis as many AS sufferers get it but few must have had it as badly as we have. I would go as far to say it was one of the worst pains I have ever suffered from. Luckily, I have only had it twice, the last time being over 30 years ago. Your story is really inspiring, thank you so much for helping get the word out there! I have a family member who is being tested for AS right now, scary stuff! I just wanted to make a comment regarding bed selection. I used to get out of bed in my 20s and 30s walking like an 80 year old. I bought a memory foam mattress about 10 years ago, and it has been a godsend. I still wake several times in the evening to switch positions, but when I get up in the morning, I can walk like a 44 year old should! I now have a memory foam mattress Linda and it has been a godsend for me too.